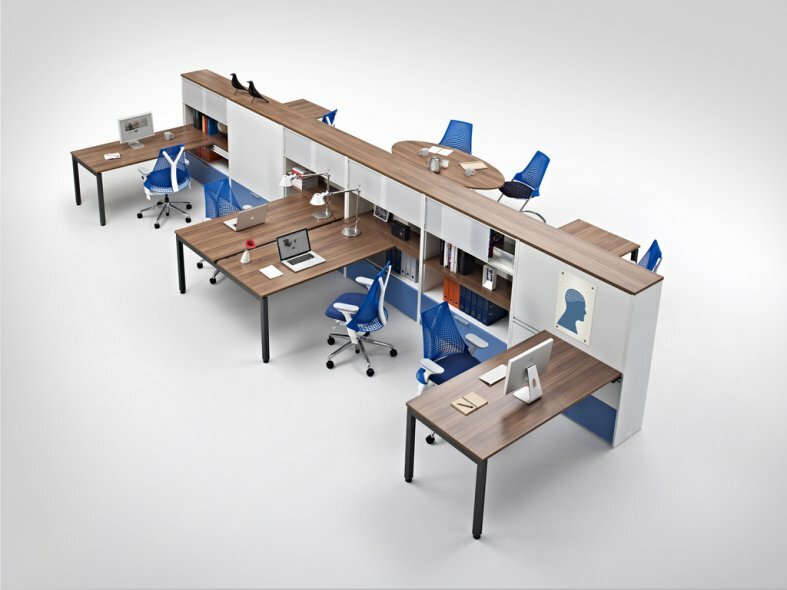 Stem places storage at the heart of working environments. It divides, connects, stores and saves, making space work harder. 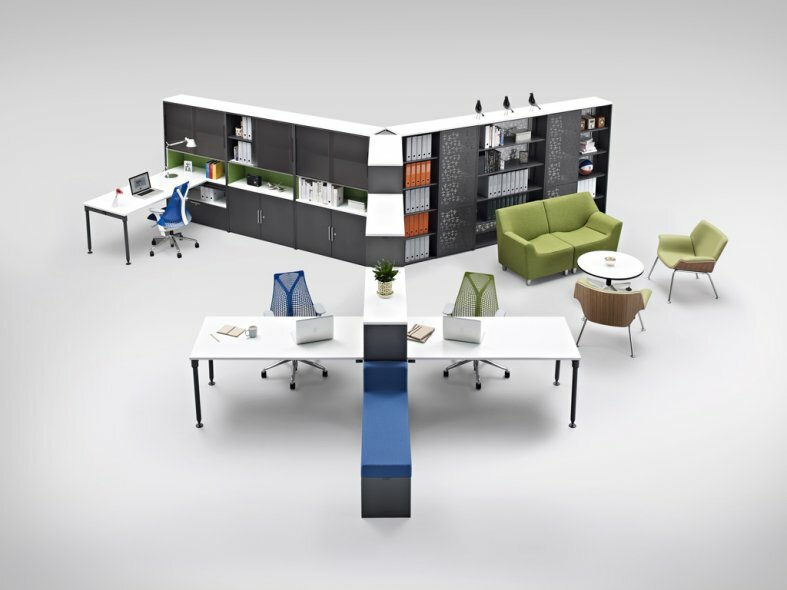 Being a fully integrated solution, Stem can be a simple cohesive storage system; the means to create agile working spaces and public zones or placed at the very centre of workplace design, from which everything grows. The building blocks of Stem are simple. Steel units, in dimensions that are clever multiples of the base. 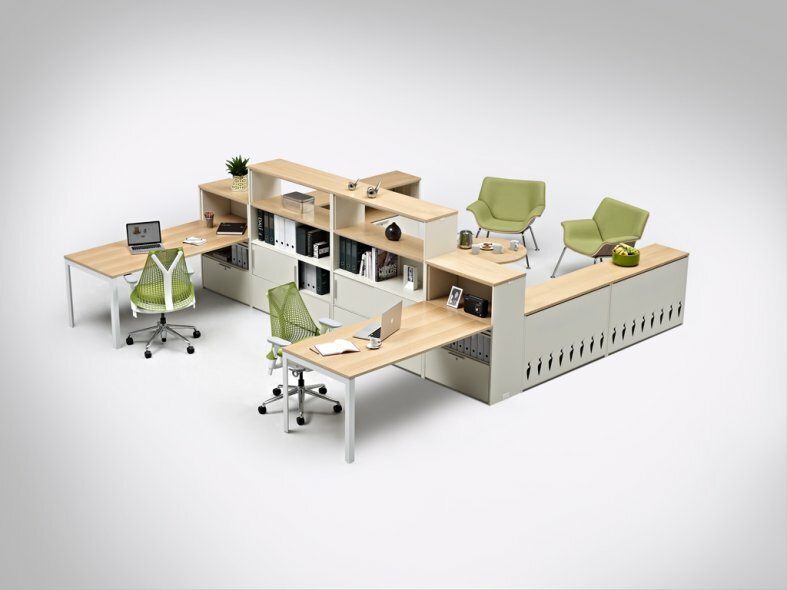 This means that every unit can be connected, configured and reconfigured. Limitless colours, materials and finishes make Stem a canvas for individual creativity. Unit tops can be finished in wood or glass. Back panels can be dressed in steel, wood, pinnable board, woven blankets or wipe boards. Doors can be mono, slider or tipper and made of acrylic, wood, steel or glass. All it takes is this clever box and a little imagination. 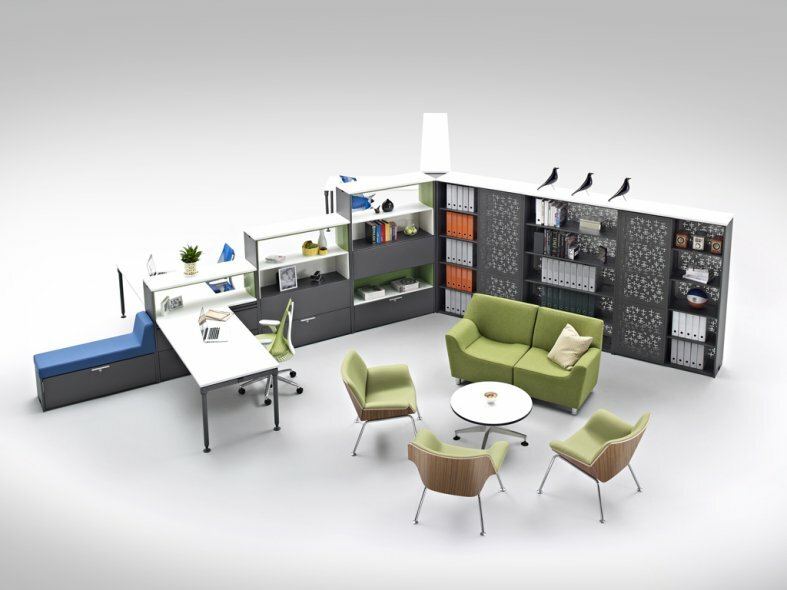 Storage is too often left out of the design and planning process. It's just seen as an add-on. 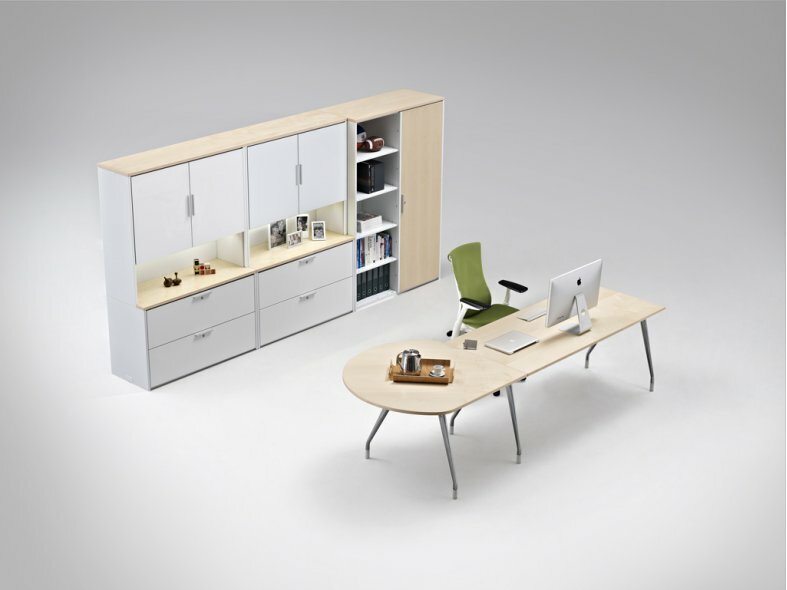 Born of systems furniture thinking that storage and office furniture should be integrated, Stem shows that everything is better, together. Stem enables. 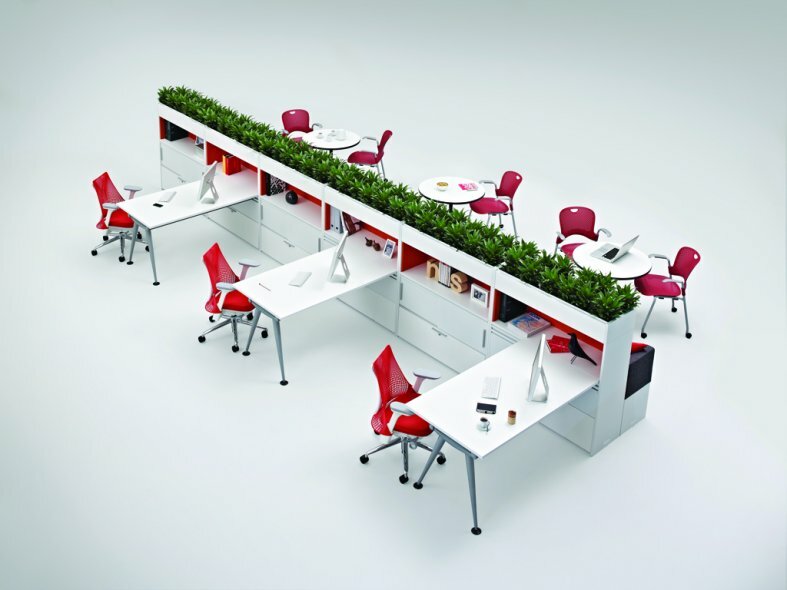 Architects, specifiers and designers can put Stem at the centre of their plans. It can guide the design process and be the template on which everything else is built. It makes space work harder.